Free parking located in the Veteran’s Parking lots (two lots) on both the north and south side of the Barrington Post office. Easy access off the 405 Freeway! We are located at 108 Barrington Walk, directly in front of a lovely water fountain and across from The Hardwear Jewelry Store. 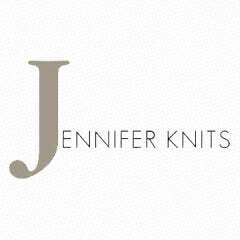 Jennifer Knits has proudly been a retail yarn store for 18 years in May! We are so excited to see all of you at this year’s crawl and we have made hundreds of amazing Jennifer Knits project kits. Cowls, hats, blankets, shawls and more. All with Free patterns! We specialize in all types of fibers and have a large selection of exclusive cashmeres, luxury yarns, and hand-dyed yarns from around the world. Our friendly staff is available to give you free instruction with any purchase (just come in after the crawl for help!) Our Trunk Shows this year are from Artyarns, Jade Sapphire and Zen Yarn Garden. Visit us on FB and Instagram for up to date info. Lemonade: Delicious American bistro in a cafeteria type setting. Yummy lemonade and desserts! Le Pain Quiotidien Great soups, salads, breads, and more! The Brentwood Café The best burgers in town! Belwood Bakery They have fantastic sandwiches, delicious pastries, coffees, and smoothies! Yogurtland is across the street -- vegan peanut butter frozen yogurt to die for!